Our members are a part of something bigger than themselves—they’re a part of an institution that has served and cultivated some of the nation’s greatest influencers for nearly 150 years. 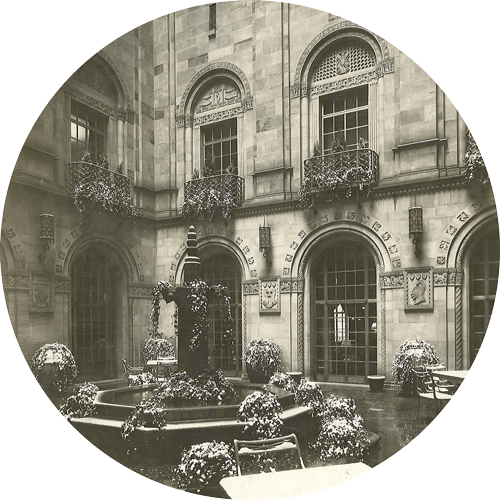 The Duquesne Club was founded in 1873 as a “voluntary association,” first led by President John H. Ricketson. In 1879, the Club leased a brick house on its present site, and the clubhouse—with its Richardson Romanesque-style architecture—opened in 1890. The Club has embraced princes and politicians, explorers and generals, cowboys and statesmen, academics and laureates, philanthropists and physicians, and captains of industry. Surrounded by elegant furnishings and museum-quality works of art, members and guests enjoy warm camaraderie, fine dining, sumptuous wine, elaborate social galas, high-tech meetings, gracious hotel rooms and suites, and our world-class Health & Fitness. At the Duquesne Club, our rich history is one of our most valuable and cherished assets.